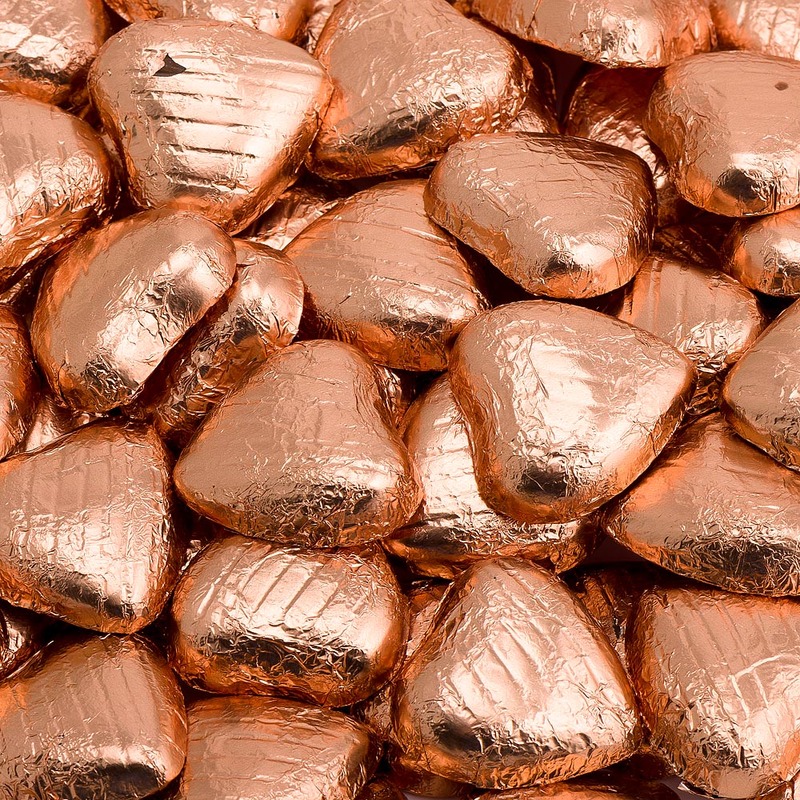 Deliciously smooth Belgian Milk Chocolate Heart Shapes, individually wrapped in luxurious foil. 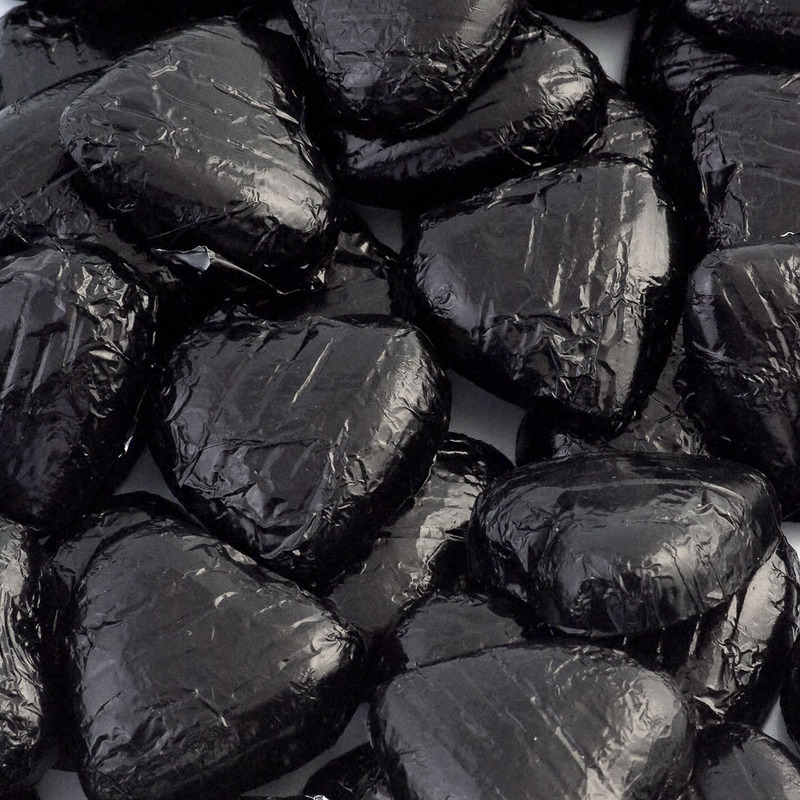 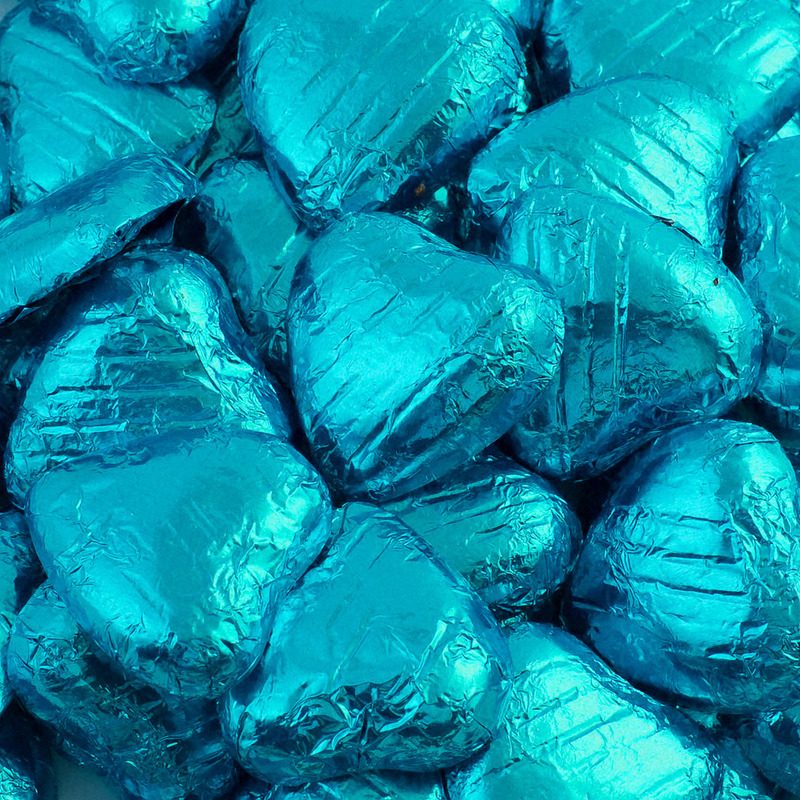 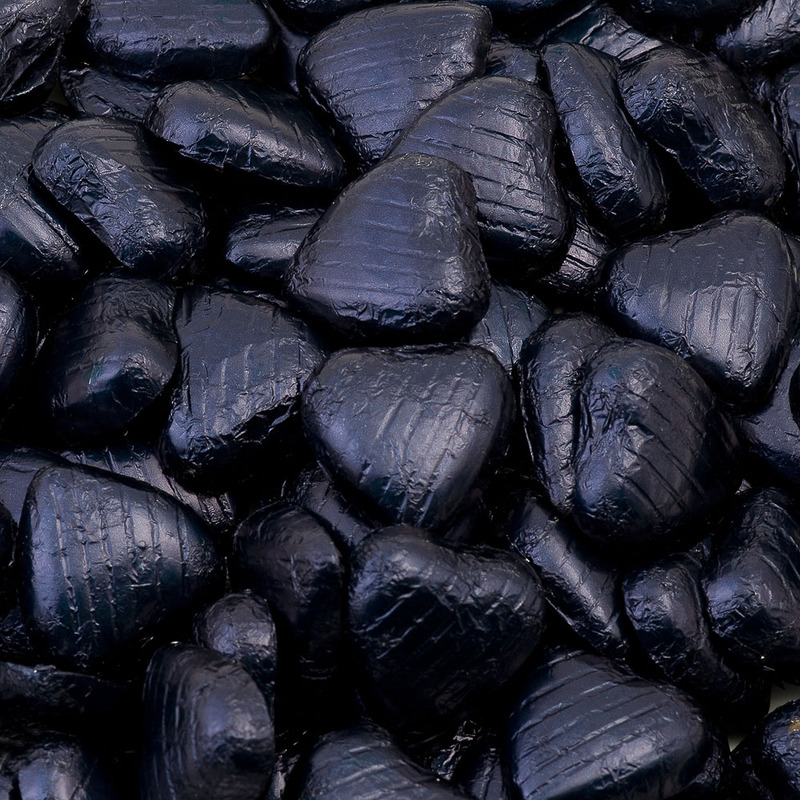 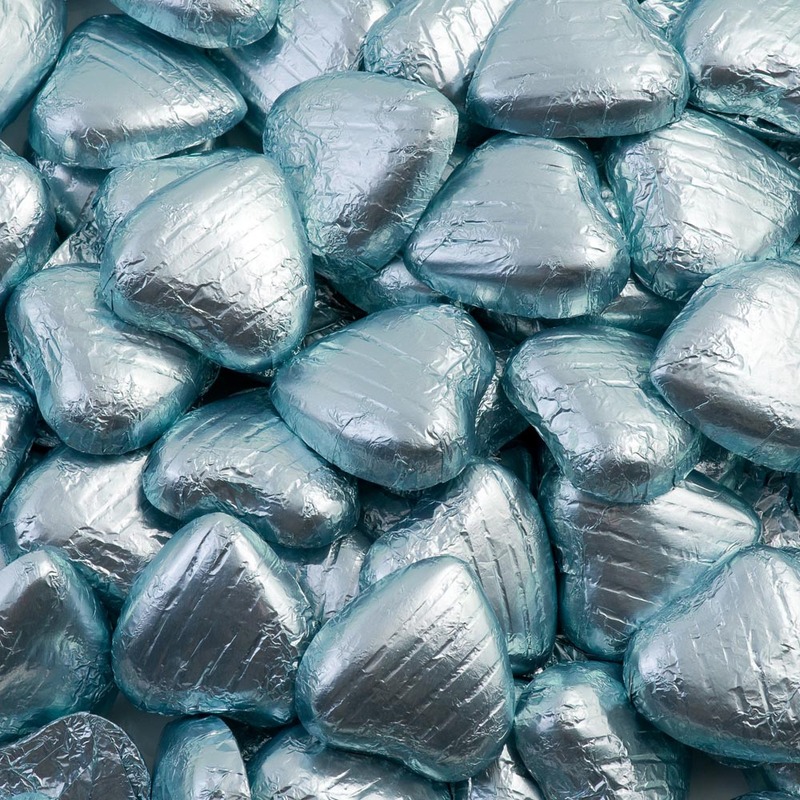 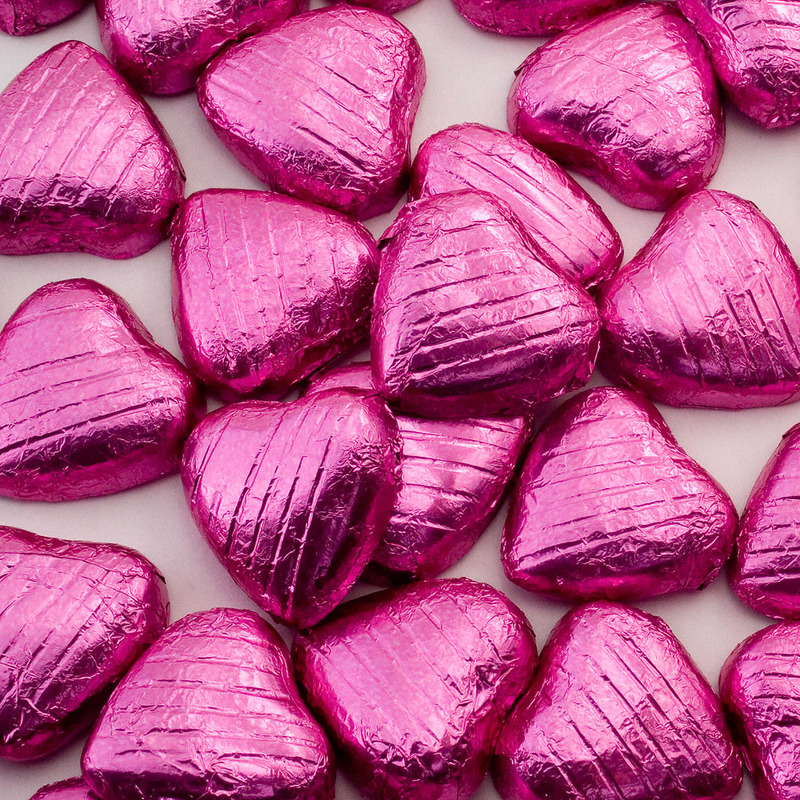 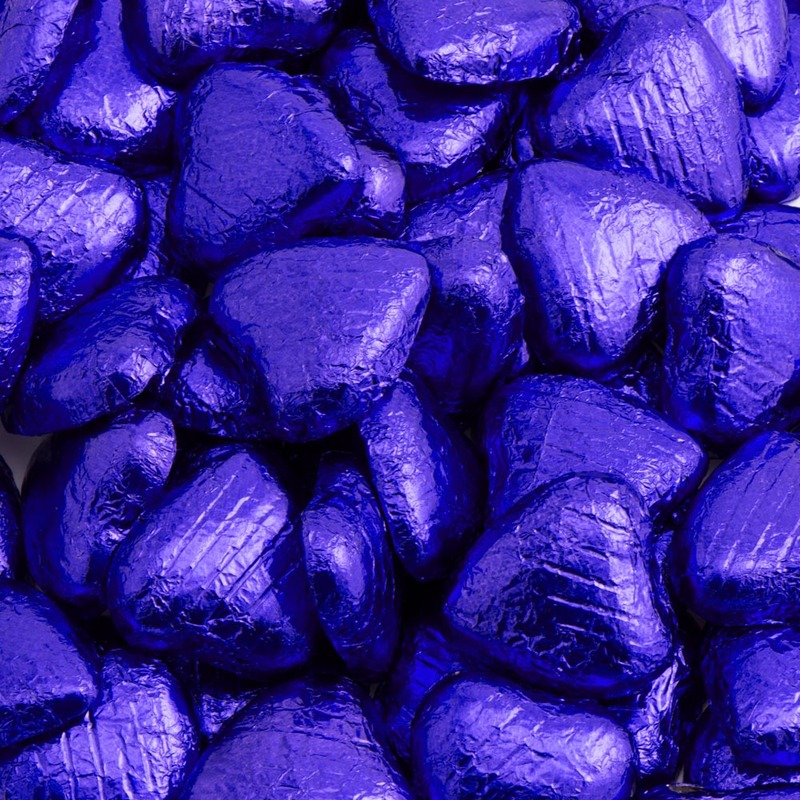 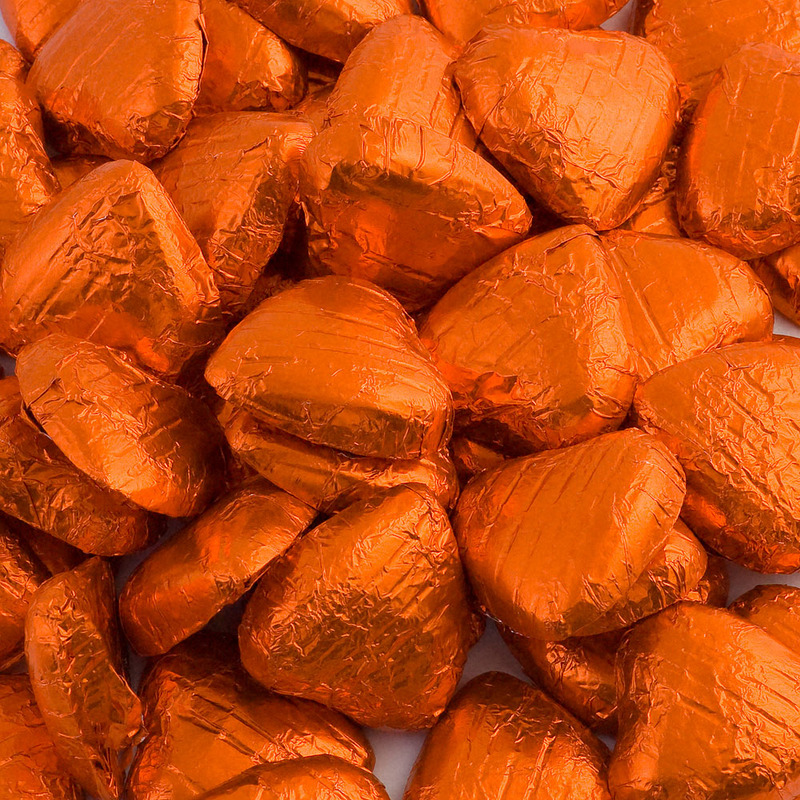 Our chocolate foil hearts are made by one of Belgium's finest Chocolatiers and are available in 17 different colours. 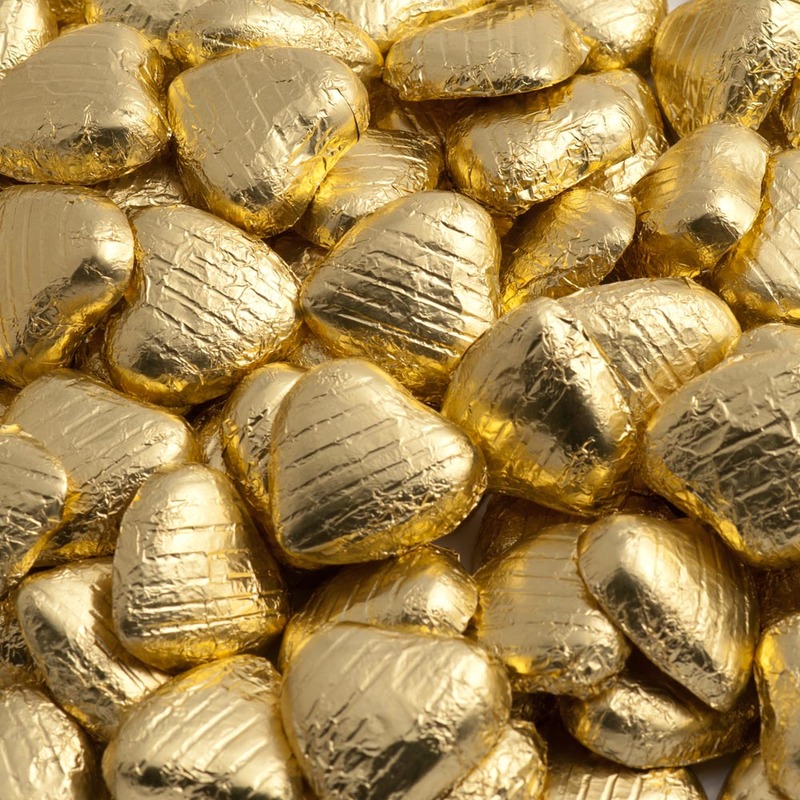 Approx size of each heart 3cm across at widest part and 5mm deep, weighing 5 grams each. 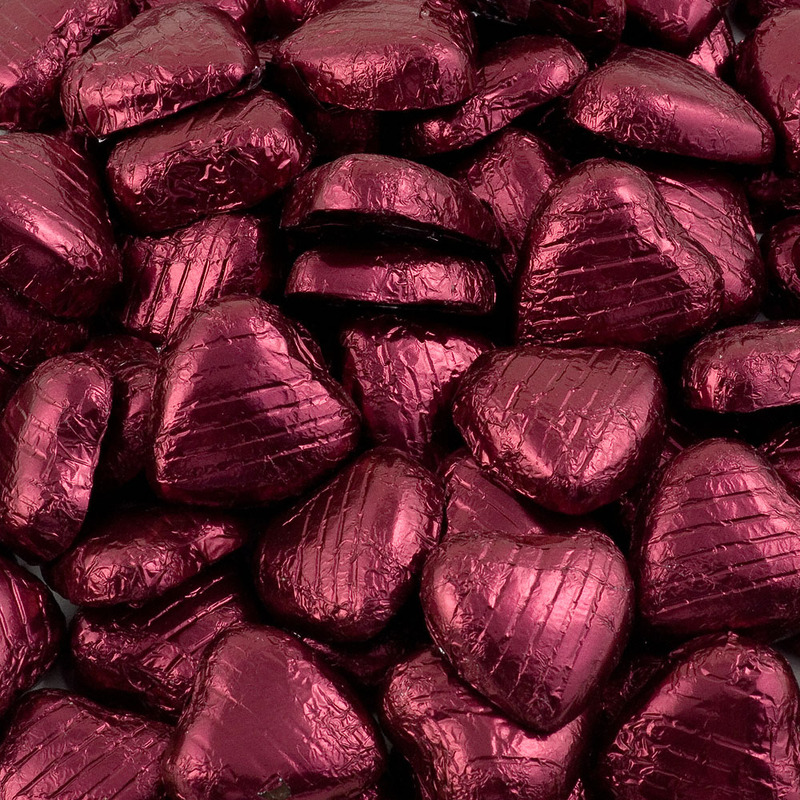 Sold in bags of 500 grams and contain approximately 95 chocolate foil hearts. 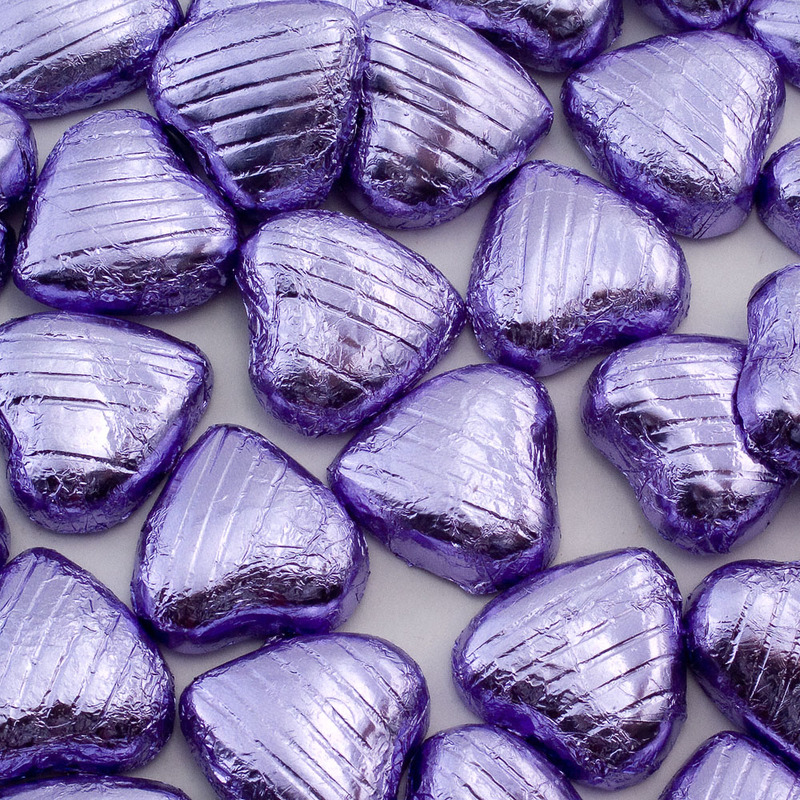 All our confectionery is of the highest quality. 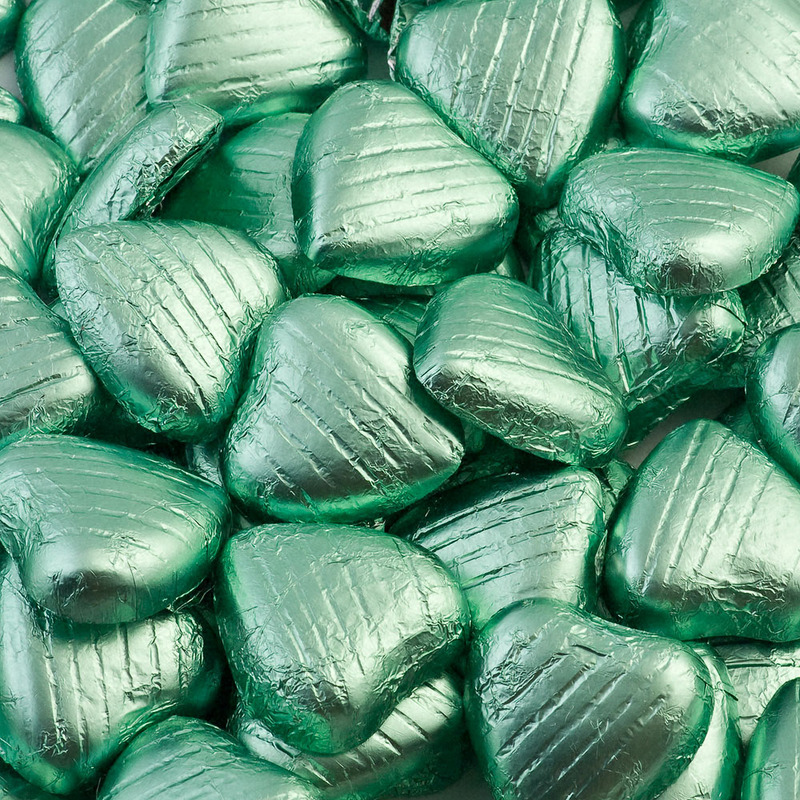 Full health and safety guide lines are adhered to when handling all our confectionery. 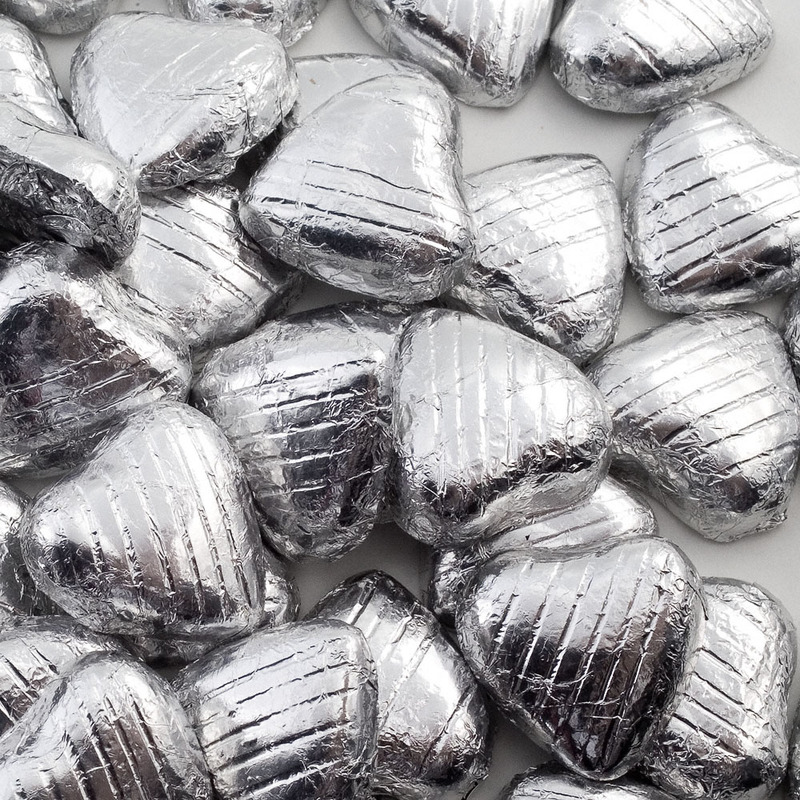 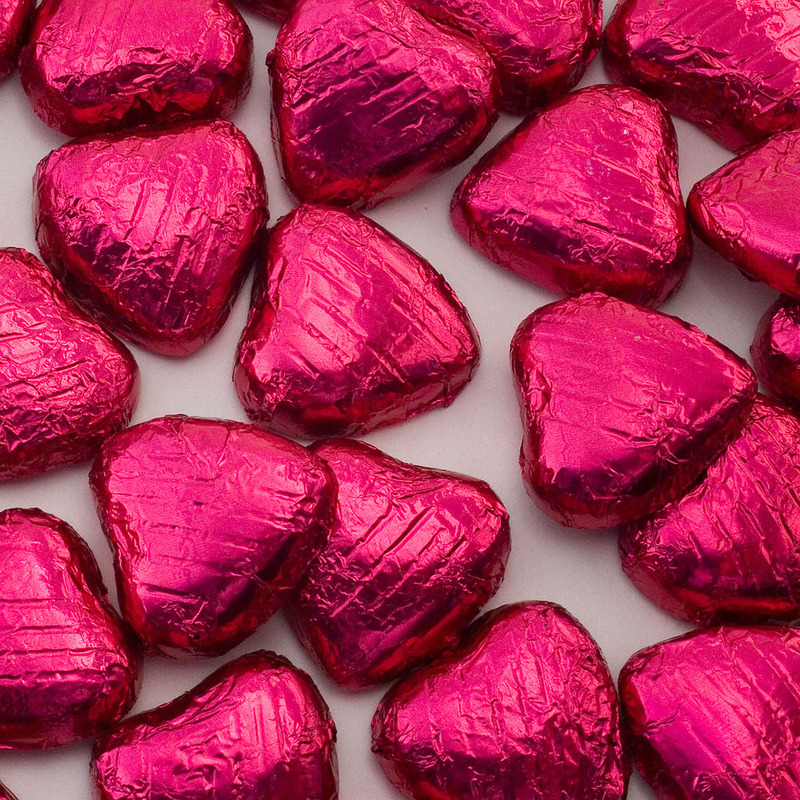 Our Chocolate Foiled Hearts are suitable for Vegetarians and are Alcohol Free. 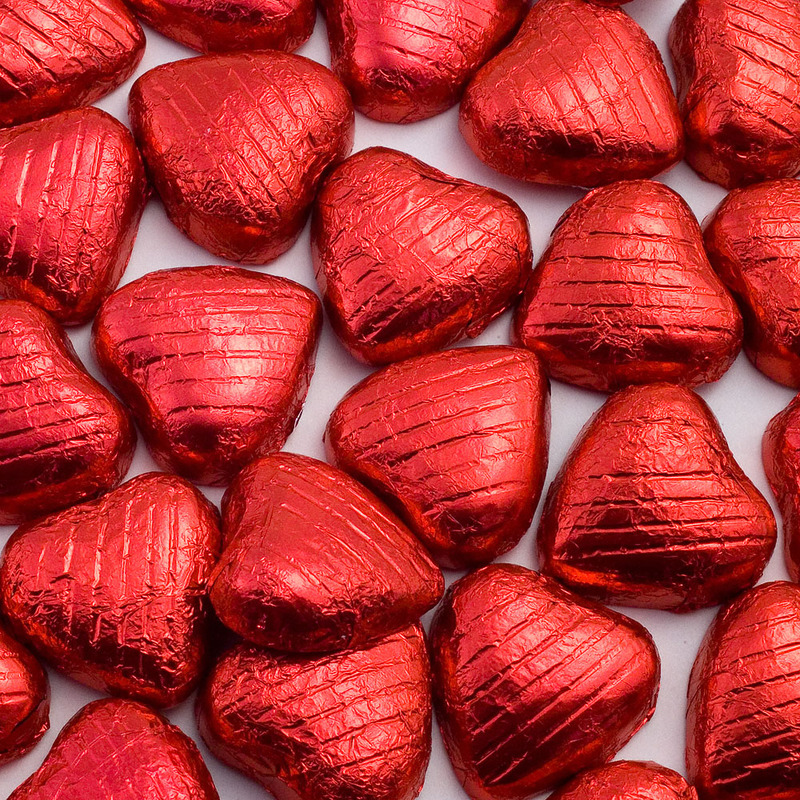 NOTE: These items may have traces of nut content as they are packed in an environment that handles nuts. 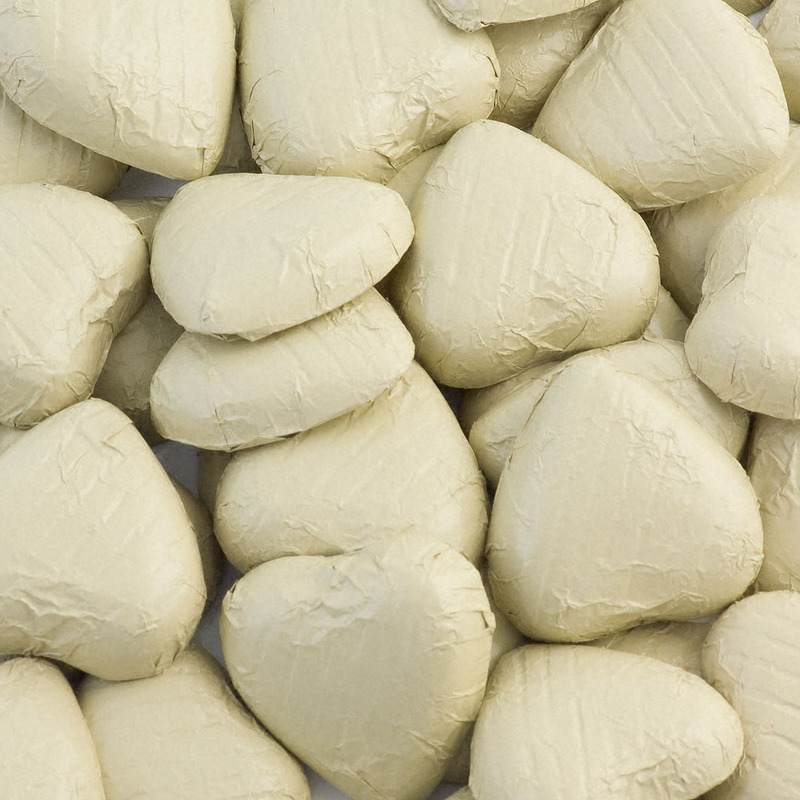 Ingredients Sugar, Cocoa Butter, Whole Milk Powder, Cocoa Liquor, Lactose (Milk), Whey Powder (Milk), Emulsifier: Soya Lecithin. 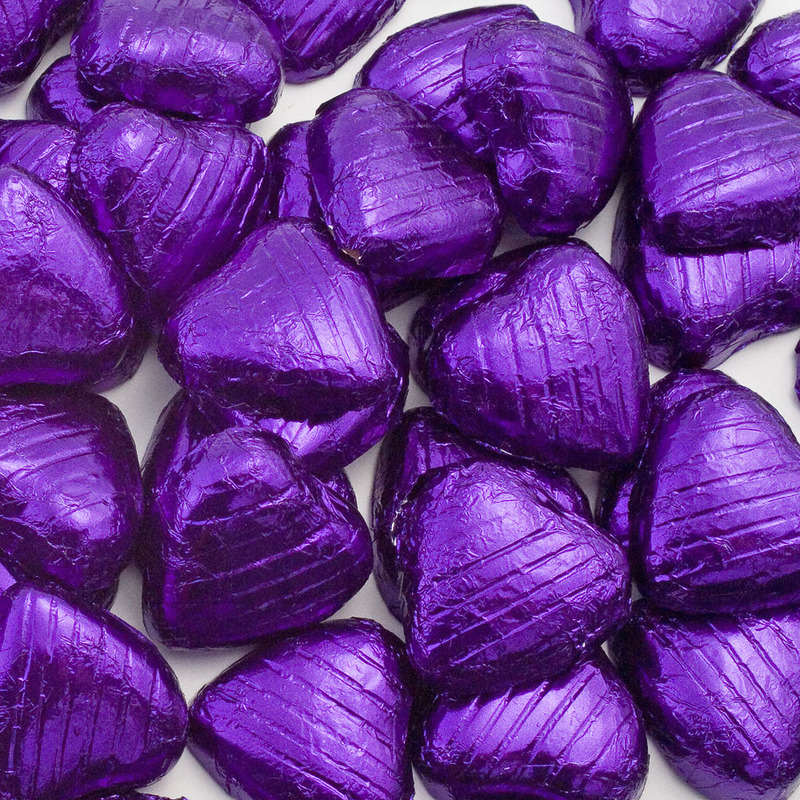 Milk Chocolate Contains: Cocoa Solids 32% Minimum, Milk Solids 14% Minimum.